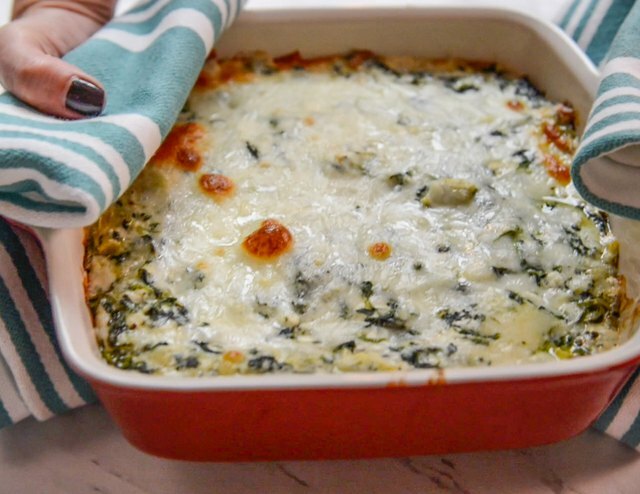 If we all made a list of the foods we just can't stop eating, I'm certain that most of us would have spinach artichoke dip somewhere in the top five. 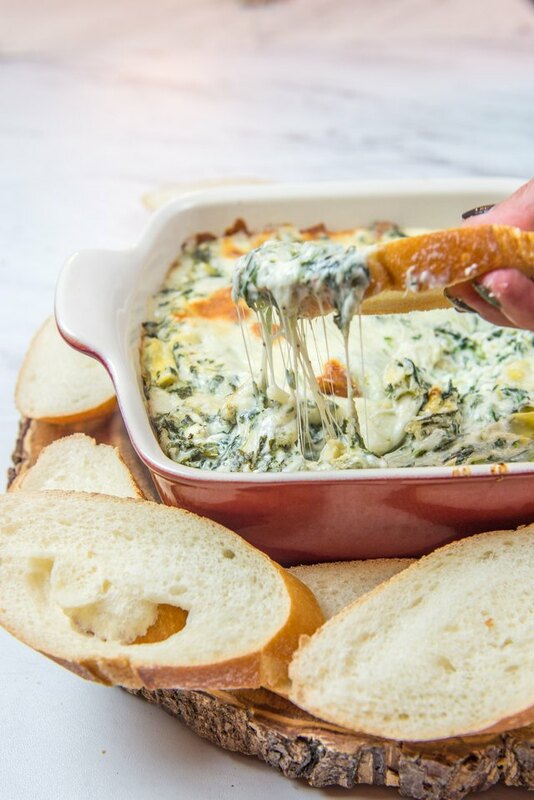 The creamy, dreamy way it clings to bread or chips, the tang of the cream cheese and the bite of the artichokes make this appetizer just too good to pass up. 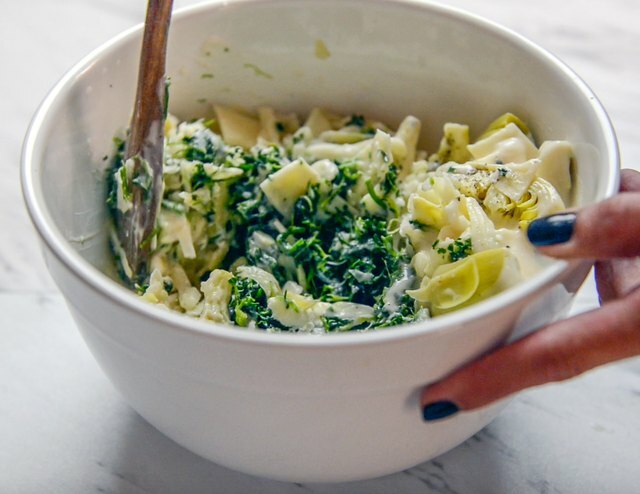 It's a household favorite and this version is just as easy as it is delicious, it'll be your new go-to recipe! 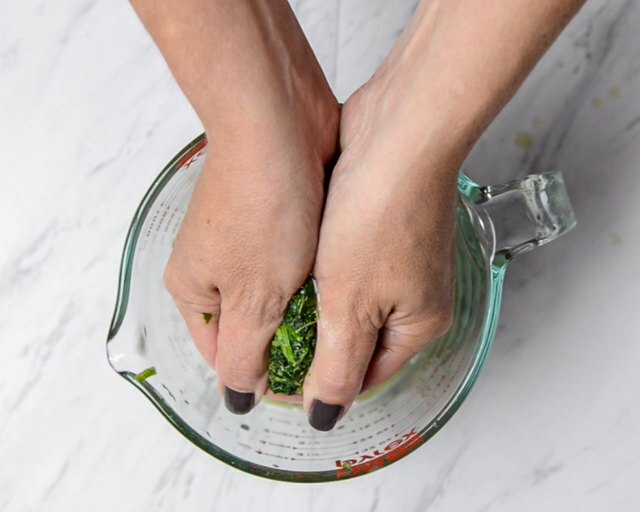 Squeeze all of the water out of the spinach. 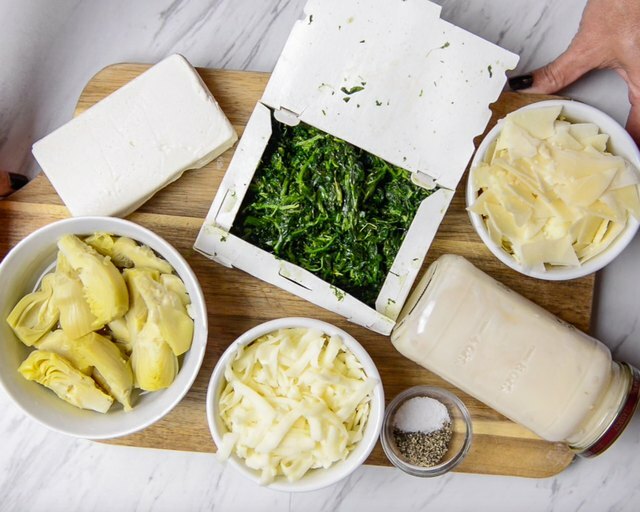 Stir together the spinach with all remaining ingredients, reserving 1/2 cup mozzarella cheese for the topping. 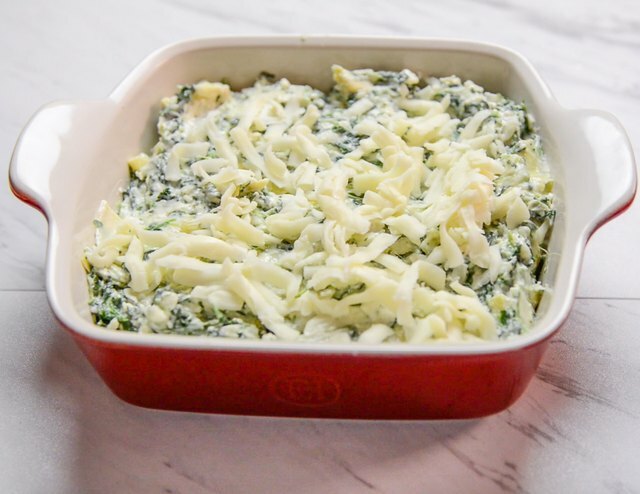 Add to an 8 x 8 baking dish, top with remaining cheese. Bake at 375 F for 20 minutes or until the top is bubbly and just starting to turn golden brown in spots. Serve warm with bread or chips. 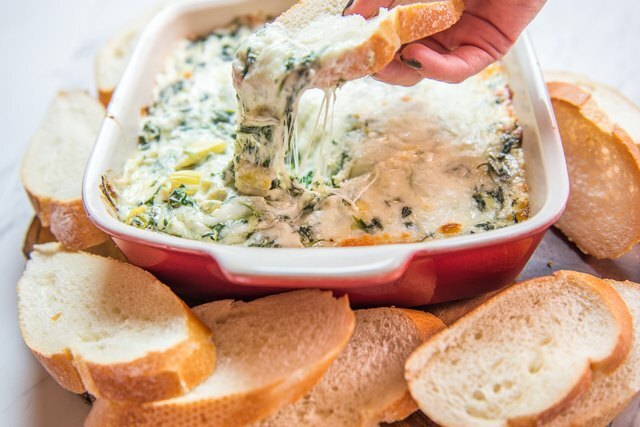 Whether you're looking to freeze leftover dip, or make it ahead for your next party, freezing spinach dip makes entertaining simple.